A darling little multi layered diorama. 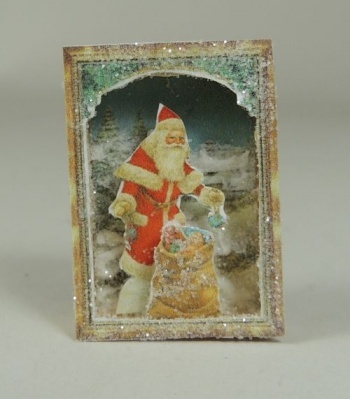 A cute old fashioned santa leans over his sack against a snowscene background. Assembled in tiny wooden box. Measures 1 1/8" x 3/4".